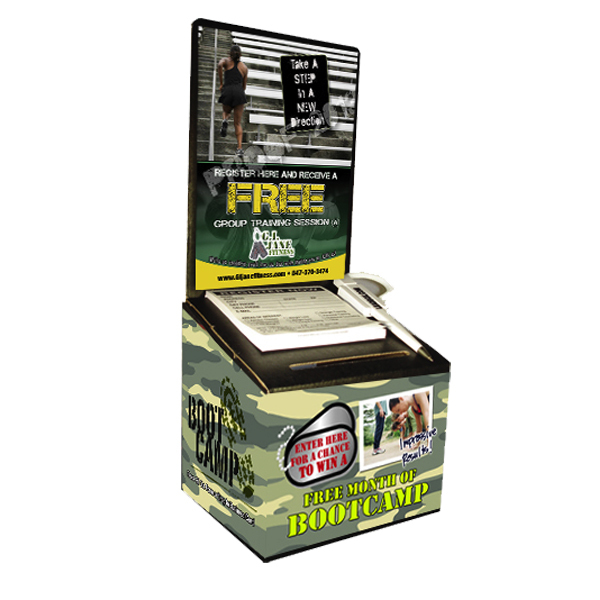 Everything you need to start your promo box program! Order Now and Receive a Free 1 Month Texting Program! 1. Go to Products - Art Design Template. Select your category and choose your template. 2. If you wish to add your logo and/or make any alterations to the design, please upload your logo in the "choose option" section. 3. You will receive a proof of your design with the changes requested within 1-2 business day. Once proof is confirmed we will take to print and ship order within 24hrs. 1. You and your staff must be willing to put in some time and effort to start and maintain lead box program. 2. Your lead box must be eye-catching and needs to have an appeal that draws people to it. 3. 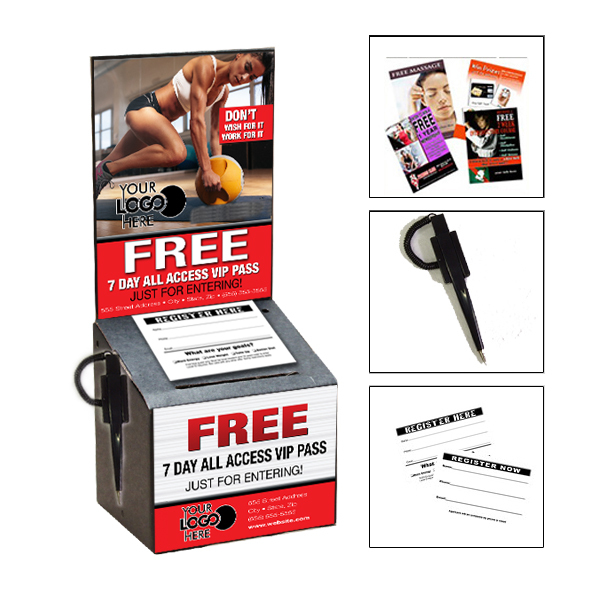 Your promotion needs to have an offer that will entice potential members to fill out an entry form. For example: Just For Entering, Receive A FREE WEEK on US! This gives the people an incentive to visit your gym. 4. Its all about volume. The more boxes you have out there the more leads you get. 5. Make sure you place your lead boxes within 2-5miles from your business. Do not place all your boxes in every store in a strip mall, you will end up with duplicates. The best to place them is at business where people are waiting, ex: beauty salons, car wash, restaurants etc. 6. Make sure when placing your box at an establishment, you get permission from the owner or manager. 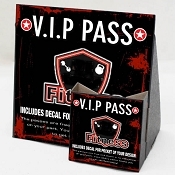 Give them an incentive to keep your box there by offering them a free 6 month membership and a discount to their employees. 7. It is crucial to service your box at least once a week. If you wait too long, the leads may become non-interested. Once you collect your leads, have your sales staff call or email them. Create a data base to store your leads. This is the 3rd time I ordered lead boxes. They have been working out great for our gym. I do recommend offering a "free week just for entering" instead of" enter to win." I got more leads with a free week than enter to win. 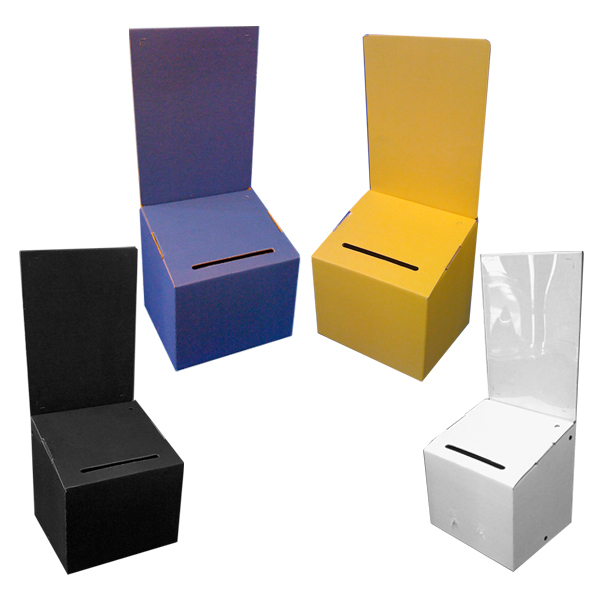 Needed lead boxes to go in different stores for my gym. They are the perfect size and have a professional design to them. Very impressed with them and easy to put together. Customer service was great too. I called inquiring about another box and rep told me this is what I was looking for and I wasn't disappointed.